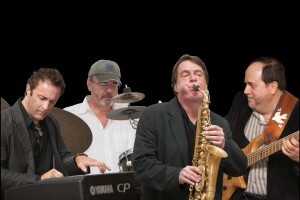 When playing for five or five thousand, everyday folks or the President of the United States, the Eric Mintel Quartet plays with the same heart. It’s not about what or who you are; it’s about performing music and moving your soul. Pianist and composer, Eric Mintel has brought his own energetic and lyrical style of jazz to audiences of all ages for more than 20 years. His style has been compared to that of the great Dave Brubeck. Career highlights include two performances by invitation at the White House, several concerts at the Kennedy Center, and a special concert at the United Nations. Join us at Jean’s Playhouse on December 2, when Eric Mintel on piano, Nelson Hill on sax, Dave Mohn on drums and Jack Hegyi on bass play cherished holiday songs in preparation for the Christmas season!